Featuring a unique blend that provides sustaining health benefits. Up to this point, you’ve only been drinking half a cup of coffee. 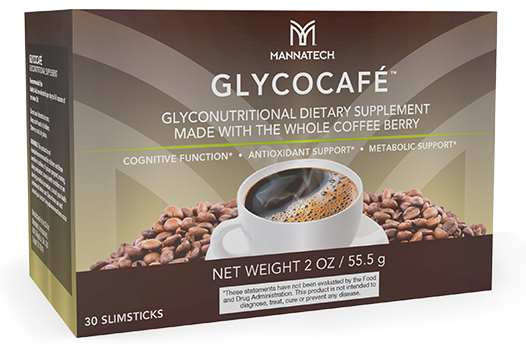 That’s about to change with Mannatech’s GlycoCafé. By using all parts of the coffee fruit for their unique properties, Mannatech has created the most complete coffee in the world—with the added benefits of nutrients from nature. 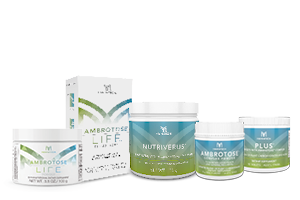 Support wellness for the entire day. Crafted using a blend of organic Arabica beans, antioxidant-rich Coffeeberry® brand coffee fruit, metabolism-boosting green coffee and infused with Glyconutrients, GlycoCafé doesn’t just give you a delicious boost to get through your morning, it supports wellness for the entire day. A unique blend that provides sustaining health benefits from the whole coffee fruit. This is the coffee you’re normally used to. 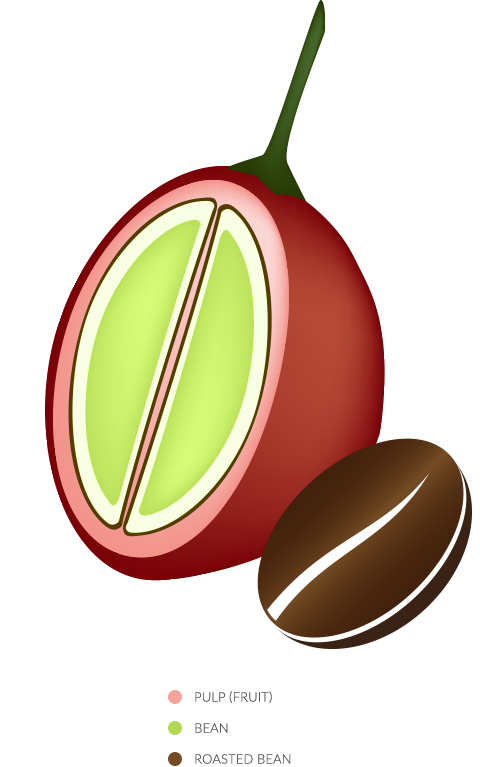 It’s the roasted bean on the inside of the fruit that gives your morning cup that rich, smooth flavor. Roasted Arabica is a premier coffee, known for improving cognitive functions, increasing alertness and focus and even providing high antioxidant support. This is the outside of the coffee plant. Sometimes called the coffee cherry, it’s red when ripe and offers a high concentration of polyphenols, which are powerful antioxidants. These are the beans you may not be used to. They are actually the seeds of the coffee fruit that haven’t been roasted yet. The usual process of roasting the beans degrades them, reducing their chlorogenic acid content and other polyphenol levels. So, leaving them in their natural form may provide more benefits. Cholorogenic acid is believed to have significant health benefits including supporting a healthy metabolism and increasing thermogenesis. Our coffee uses organic roasted premium and flavorful Arabica beans. benefits beyond your normal cup. Adding GlycoCafé to your TruHealth™ bundles not only gives an extra boost to your metabolism, it helps keep you energized through mid-day activities. You can also create a coffee flavored shake for breakfast! Shaping a New You never tasted so good. 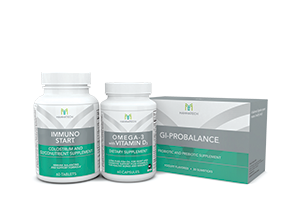 We’re so confident that our products will transform your life, that we offer an unsurpassable 180-day satisfaction guarantee. 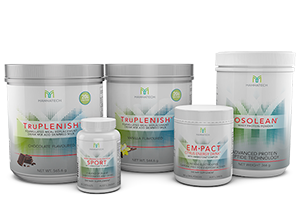 For every $100 order of Mannatech products, a one-month supply of PhytoBlend™ powder is provided for a child in need.